One of the great conundrums in today’s world is why computers in general and the digital revolution in particular have had exactly the opposite effect on productivity than everybody expected. Why on earth is productivity growth slowing when we all expected it to rise and what can we do about it? That’s what this month’s Absolute Return Letter is about. Enjoy the read. Are you a typical 60/40 investor? If so, it is time you start to think out of the box. As I pointed out last month, the 40% you allocate to bonds is not going to deliver much of a return in the years to come and, today, I will do my best to convince you that the 60% you allocate to equities won’t do the job either. Let’s start by digging a little deeper on how equities have actually performed historically. Since 1900 – i.e. for the past 118 years – the compounded annual real return on a global equity portfolio has been 5.1% (Source: Credit Suisse Global Investment Returns Yearbook 2017). Let’s call that the long-term average. Here is the problem. An entire generation of investors has grown up with returns vastly superior to that and think 10%+ per annum is a human right. The golden period of the last century was unquestionably the 20 years from 1980 to 1999 - a period often called the Great Equity Bull Market. Interest rates dropped dramatically throughout this period, whilst the baby boom generation moved into their peak spending years, the combination of which yielded very robust earnings growth. No wonder equities returned no less than 10.6% per annum during this period (Source: Credit Suisse Global Investment Returns Yearbook 2017). Since 2000, away from the US, equity returns have been much more modest. A global equity portfolio has generated only about 2% per year on an inflation-adjusted basis – less than half the long-term average. For many years to come, and for reasons I will spell out in a minute or two, I believe equity returns will be very much in line with the past 18 years. 0-3% average annual real returns happens to be my central forecast for 2018-2050. Slow productivity growth since the Global Financial Crisis is listed by many as the key reason why GDP growth has been so pedestrian more recently. You can hardly open a financial newspaper these days without a reference to the fact that the financial crisis has undermined productivity growth all over the OECD and, at first glance, it is hard not to agree (Exhibit 1). Having said that, it is a fallacy to think that slowing productivity growth only dates back to 2008. In the UK, productivity began to slow half a century ago and, although the picture is a bit more mixed elsewhere, there can be no doubt that productivity growth in general has trended down for decades (Exhibit 2). In other words, slowing productivity growth is not at all the post-crisis phenomenon that it is often portrayed as. Something else must be astray, so what could it be? Ageing of society at large is one reason, as older workers are less productive than their younger peers, and ageing didn’t suddenly become an issue in 2009. Secondly, servicing the growing populace of elderly ties up ever more capital, which could otherwise be used to enhance productivity. Herein the UK, the NHS spends about 7 times more money on a man in his 80s than it does on man in his 30s. Thirdly, excessive indebtedness in all economic sectors (the government, the household and the corporate sector) is another reason. Think of it this way. The more debt we are saddled with, the more capital that could have been used to enhance productivity is instead used to service existing debt. Fourthly, the rising cost of producing the energy we need to spin the wheels every day is yet another reason. I note that the US energy sector ties up more than 30 times more capital for every barrel of oil produced than it did at the peak of the second oil crisis in 1980 (Source:The MacroStrategy Partnership LLP), and I have no reason to believe it is much different elsewhere. The low-hanging fruit has simply been picked, and it is becoming ever more capital-demanding to increase production of oil and gas. Finally, and probably most importantly, the savings freed up by the first stage of the digital revolution (the rollout of computers, smartphones and the internet) have not been re-invested in reskilling the workers affected to a higher level (remember– human capital is also part of the capital stock) but have instead been pocketed by capital owners. That has been great for equity returns in the short and medium-term but is likely to lead to big problems in the long run. Phrased differently, capital is increasingly being misallocated; i.e. it is being used for purposes that don’t affect GDP growth in a meaningful way. I am sure my ageing father would argue that his medicine paid for by the Danish government is definitely not a misallocation of capital but, in economic terms, it is. We now know that one of the two fundamental drivers of GDP growth – productivity growth – is not exactly firing on all cylinders, but what about the other one? Unfortunately, the story gets worse. 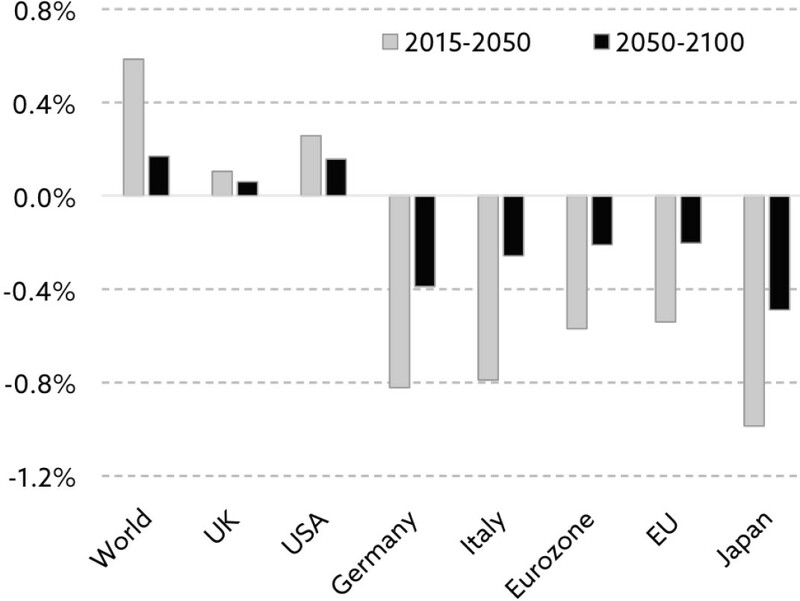 In many countries, the workforce doesn’t grow anymore, and it will decline by up to 1% annually in the worst affected OECD countries (and even more in most Eastern European countries) between now and 2050 (Exhibit 3). We therefore know that economic growth will turn negative in quite a few countries for many years to come unless we can find ways to reinvigorate productivity growth. I have come across the argument that we’ll probably do just fine, even if GDP no longer grows. That is in principle correct if, but only if, you live in a country that is not drowning in debt, but all those poor souls (like me) who happen to live in a country that is infatuated with debt need robust GDP growth in order to service all that debt. Otherwise the entire ship will simply sink. 1. Are there ways productivity growth can be reinvigorated? 2. How do investors best position themselves for that? Let’s take the easier one first. If you have read my recently published book, The End of Indexing, you will know that I have identified two possible solutions to the productivity conundrum. The first I call the digital revolution with all that it entails - artificial intelligence, advanced robotics, the Internet of Things (IoT), blockchain, etc.. The second one is even bigger than the first but is, unfortunately, also longer-term in nature. Let’s call it commercialisation of fusion energy. Let me take you through some of my findings. The digital revolution first. At first glance, the opportunity set looks vast, and the impact on financial markets could be immense, such is the economic impact of the digital revolution. 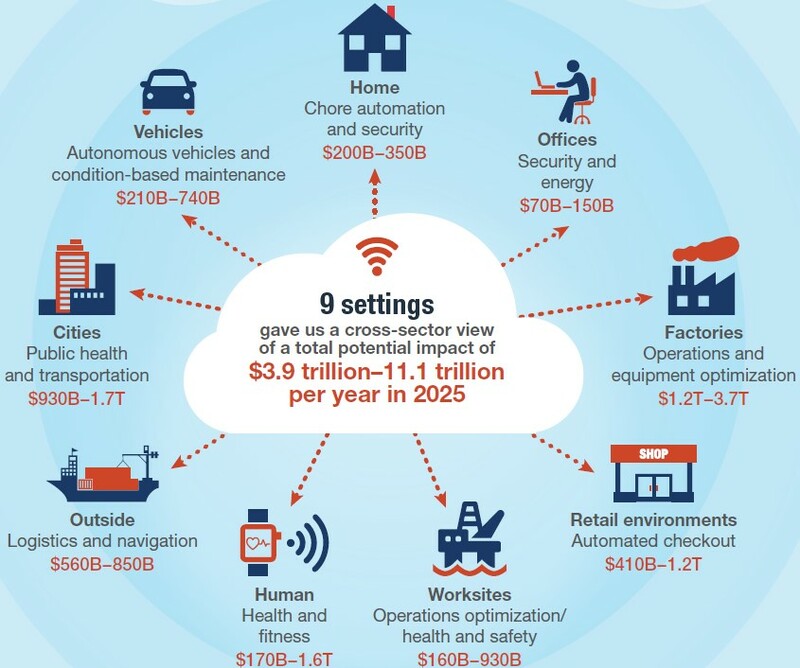 One observer (McKinsey Global Institute) estimates the economic impact from IoT to be as much as $11 trillion by 2025, and that is only in the US (Exhibit 4). Having said that, although the digital revolution could potentially have a significant (and positive) impact on economic growth for many years to come, it is nothing compared to the impact commercialisation of fusion energy will have when it eventually happens. 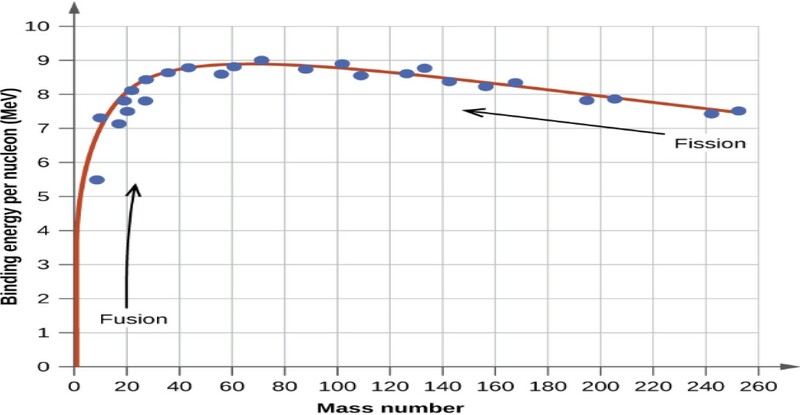 Fusion energy is not only far safer than fission energy (traditional nuclear); it is also much more effective (Exhibit 5), and it is dramatically cheaper. Assuming you don’t know much about the fusion process, let me take you through how it works. According to people who know a great deal more about these sorts of things than I do, the most efficient fusion reaction is the one between the two hydrogen isotopes, deuterium and tritium. Make those isotopes collide, and the fusion produces a heavier element, helium, and a neutron (Exhibit 6). 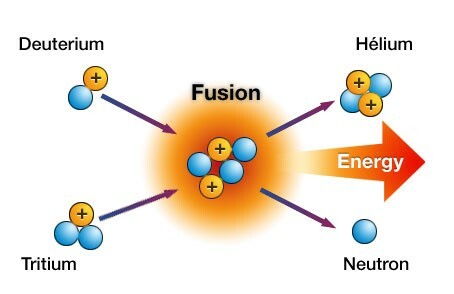 The fusion process - converting hydrogen to helium - releases about 10 million times more energy than what is released when burning the same amount of hydrogen. Even better, the cost of doing so will be next to nothing once the technology is up and running. As you saw in Exhibit 5, fusion is far more powerful than fission, as it converts a much higher percentage of the mass within an atom into energy, meaning that it will require only a modest amount of seawater and lithium to fuel the entire world. The lithium from one laptop battery combined with half a bathtub of seawater would provide enough fuel for 200,000 kWh of electricity – the same as 70 tonnes of coal and equal to 30 years of UK per capita electricity consumption (Source:The MacroStrategy Partnership LLP). When I wrote my book, I stated that fusion energy was probably still about 30 years away from commercialisation; such was the guidance I received at the time. Now, less than a year later, a more optimistic story is emerging. Bob Mumgaard, the CEO of Commonwealth Fusion Systems (one of the leading contenders) stated earlier this year that he thinks CFS will be able to put fusion power on the grid within 15 years (Source: The Guardian). Before you get too excited, I should point out that none of this may ever happen. Although scientists have now proven in research labs that the technology works as expected - hence it is now ‘merely’ an engineering job to scale it up to meet commercial requirements – there are plenty of sceptics around who doubt that that we will ever succeed in taking the technology from the laboratory to the power plant. Whether we will ever succeed in doing that or not, at least for the next 10 years, you will probably have to settle for less than fusion energy can offer, and that’s where disruption enters the frame. All these new technologies will likely be so disruptive that everything will change. Retailing has already fundamentally changed, but that’s only the beginning. What will our high streets look like 10-15 years from now? Who is going to move in to all those empty square metres? How will our lives change when our fridge begins to communicate directly with the local supermarket and tell them when we are about to run out of milk? I am not even sure there will be any banks left 10-15 years from now, as the ultimate consequence of the blockchain technology is that we won’t need banks anymore. One question I often run into when talking about the opportunity set on offer from the digital revolution is perception vs. reality – or rather, how much has already been discounted by equity investors? It is indeed true that technology stocks have dramatically outperformed equities in general since the financial crisis (Exhibit 7). However, it is not true that the outperformance is largely due to investors increasingly being prepared to pay silly money for all this fancy new technology. As is clear when looking at Exhibit 8, no less than 86% of the price change in tech globally since 2009 can be explained by rising earnings, whereas the corresponding number for equities in general is only 57%. Note: FAAMG includes Facebook, Apple, Amazon, Microsoft and Alphabet’s Google. 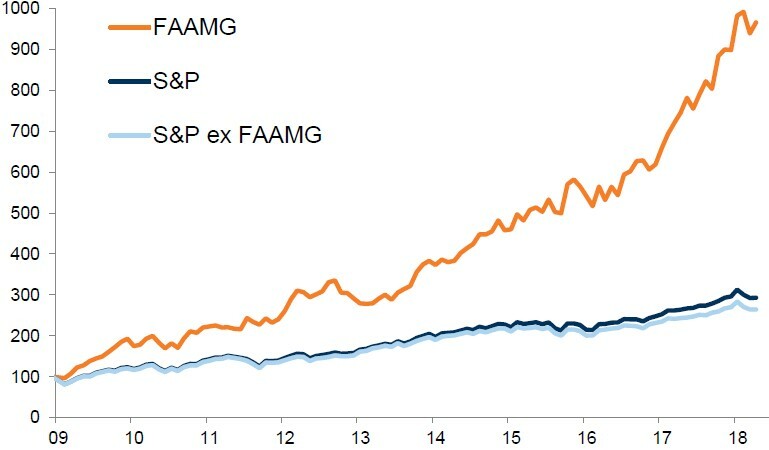 Therefore, the only conclusion I can reach is that, if there is an emerging bubble in equities – and one could certainly argue that, at least in US equities, there is a bubble building - it is not in tech but in equities in general. Let’s move on to the cost of all this extravagant new technology. Debt growing faster than GDP (as it does) implies that capital is increasingly being deployed unproductively. In the early stages of the current debt-supercycle (i.e. 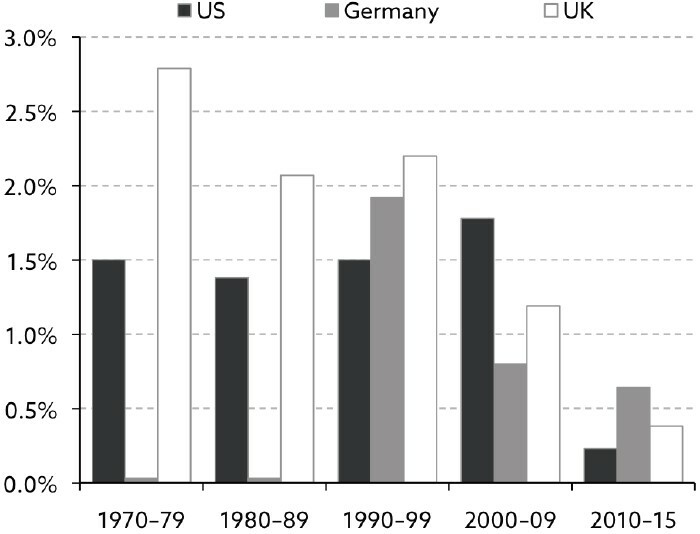 in the 1950s and 1960s), debt grew in line with GDP. Today, in many countries, GDP grows only by 20-30 cents for every dollar of added debt, i.e. much capital is deployed unproductively or, as economists like to say, much capital is misallocated. Some investors believe that debt is only so high today because significant amounts of capital have already been invested in the new ground-breaking technologies referred to above, and that this will eventually pay off. Net investments in the US and elsewhere have been on a decline for years and, when adjusting for the fact that all these new technologies depreciate faster than older technologies did, investments in the US are no longer growing on a net basis (Sources: Federal Reserve Bank of New York, The MacroStrategy Partnership LLP). Phrased differently, as Andy Lees from the MacroStrategy Partnership pointed out when I presented my findings to him, the key issue is massive underinvestment. As I stated earlier, the reason productivity growth has been so abysmal throughout most of the computer age is that the savings computers have freed up have not been re-invested in reskilling the workers affected but have instead been pocketed by capital owners. The growth in debt-to-GDP implies that little of all the fancy technology that have enriched our livelihoods in the last 20-30 years has actually paid for itself. Instead, it has been financed by underinvesting, driving productivity growth lower and debt-to-GDP higher. As per Andy’s estimate (and this can be calculated relatively precisely), in the past half century, total underinvesting amounts to no less than $400 trillion globally or about five years of global GDP. That is what it would take to lift GDP growth back to the levels of the 1950s and 1960s. The inevitable consequence of all of this is that real interest rates will stay low for years to come. Otherwise society simply cannot afford to service all that misallocated capital. Absent of any government and/or central bank interventions, i.e. in a truly capitalist economy, debt-to-GDP would never have reached current levels; debtors would have defaulted en masse by now. However, in the managed economy we are ‘enjoying’ these days, interest rates are kept artificially low, allowing debt-to-GDP to continue to rise. The fact that keeping interest rates artificially low has other – and very negative - implications is being largely ignored by those in power, but that is not my point today. My point is an altogether different one. The new technologies shall require enormous amounts of capital at a time where we can hardly afford to take on any more debt. The fact that net investments have turned negative in some countries more recently indicates that the capital we need to make all this happen might not be present. As a consequence, real interest rates are more than likely to stay low - perhaps even drop modestly - in the years to come. Partially because of globalisation (rising competition) and partially because of changing demographics (a shrinking workforce), ignoring the new technologies is not an option. Consequently, debt-to-GDP will most likely continue to rise, at least in the short to medium term. Assuming governments are not overly keen to instigate the Global Financial Crisis, Mk.II (or is it Mk. III? 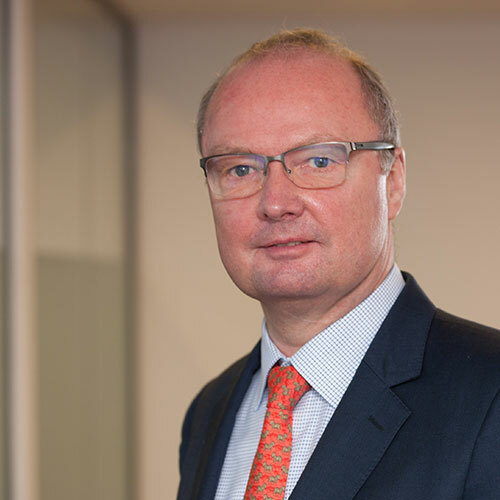 ), interest rates will therefore have to be managed for many years to come and, in this context, “managed” means ensuring they remain comparatively low. Obviously, interest rates will continue to follow the ups and downs of the economic cycle, but policy rates will remain uncharacteristically low. Will the ship sink before the economy begins to benefit from all these new technologies? If the current policy programme is continued for another 10 years, debt-to-GDP will continue to rise, productivity growth will continue to decline, GDP growth will eventually turn negative, disinflation will turn into outright deflation, and we will have a repeat of the 1930s on our hands. If, on the other hand, we allow some debt to be destroyed now, it is still possible to come out on the other side in relatively good shape, and we will be in a much better position to take advantage of the digital revolution and the commercialisation of fusion energy, when it eventually happens. It is no coincidence that policy makers all over the OECD are desperate to get inflation going again. Remember – inflation equals debt destruction. We have had three episode of significant debt destruction in the last century - the Great Depression of the 1930s, 1966-81 and, most recently,the Global Financial Crisis. Without question, the one that did the least damage to the overall economy was the middle one and, in that context, I note that it was the only one of the three that was driven by high inflation. The culprit in the other two was a massive rise in defaults. It is still too early to say whether the next episode of debt destruction should be spelled D-E-F-A-U-L-T or I-N-F-L-A-T-I-O-N, but I can assure you that governments prefer the latter of the two. This has led me to conclude that, five years from now, I don’t expect interest rates to be any higher than they are today, and they could quite possibly be modestly lower. I don’t expect productivity to suddenly explode and, without some debt destruction (one way or the other), it may never take off. I should also point out that, even at the best of times, productivity has never grown by more than about 2.5% per annum, so don’t expect any miracles. The first stage of the digital revolution – the introduction of the internet in the mid-1990s – certainly boosted productivity growth but never to more than 2.2-2.3% per annum. If you want GDP to grow like it did in the good old days, we need a lot more than that to compensate for the anticipated decline in the workforce.